With so much media focus on Malaysia over the last several months, many forget that Indonesia is making huge strides in the oil and gas industry. In the oil and gas industry, Malaysia continues to be the talk of the town. As they have taken the lead in the ASEAN region and are pushing their production capabilities forward, their position as a leader of the region is certainly not in doubt. However, for those with oil and gas qualifications, it is important to remember that the region has a number of countries with advanced production capabilities. While Malaysia is getting all the limelight, Indonesia is making efforts to explore some of its less known gas fields. Indonesia is making a claim as one of ASEAN’s top producers. A research paper from the University of Indonesia shows that the East Natuna gas field has around 46 trillion cubic feet of proven reserves. The exploration of new areas of this field should push the gas industry further forward. The gas from these fields is essential for the development of Indonesia. PricewaterhouseCooper’s (PwC) believes that the country’s economy is going through a period of transition and as such will need high levels of energy to continue its rapid development. The growing domestic need for gas (both for consumer and industrial use) has pushed the state government to explore important gas fields, such as East Natuna, in hope of expanding its production capabilities. Figures from PwC show that the Indonesian oil and gas industry has been increasing for the last several years. In 2012, the industry was worth an estimated US$16.1 billion, but increased to nearly US$20 billion in 2013. This is expected to further rise as the government continues to enter into new and more lucrative contracts, signing seven in 2014 alone. For those thinking about oil and gas training, such as through IWCF qualification, Malaysia is not the only destination that offers employment opportunities. Indonesia is again becoming a major player in the region, therefore professionals should keep an eye out for new employment chances as the industry continues to mature. 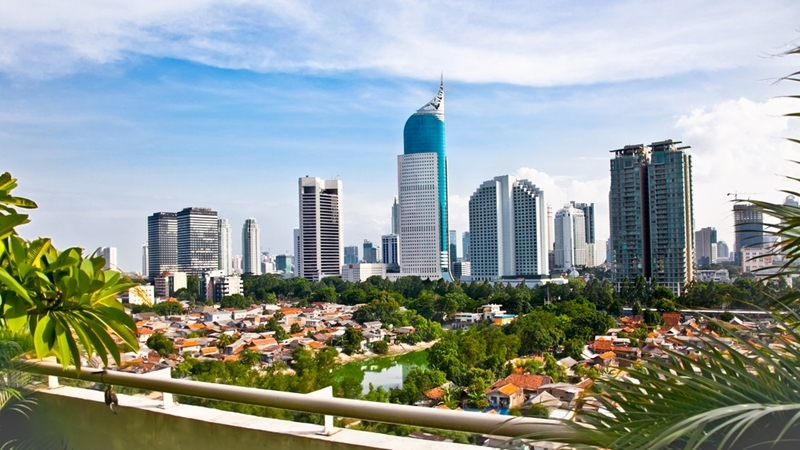 Indonesian is pushing forward with increased exploration of its gas fields. With Indonesia making gains locally, it is also looking to the international market to build on its current success. But it is not just gas that is being put under the microscope, oil is also a major part of its focus. State-owned energy company Pertamina is looking at projects in countries such as Iraq, Saudi Arabia and Russia, Reuters reported. In an interview with the press agency, Upstream Director Syamsu Alam said that Pertamina plans to increase output by 14,000 barrels of oil equivalent per day (BOEPD) in 2016 and 117,000 BOEPD by 2017. The plan to drive oil production will be helped by the US$2 billion Pertamina has ready to invest in mergers and acquisitions for oil and gas assets. With Indonesia taking great strides towards its goal of increasing production in both gas and oil, the country will be in need of specialist expertise to ensure its strategy is properly executed. With more and more contracts expected to be signed over the next several years, those looking to capitalise on Indonesia’s push will need the right kind of training. At Harness Training we offer best practice training courses that ensure you are not left behind by the ever-expanding industry. Whether you are looking to learn the ins and outs of IWCF well control, or specific methods for well intervention, we can offer you skilled training that will equip you with industry recognised qualifications. With a number of different training centres throughout the ASEAN region, we know what it takes to make it in the industry. If you would like to know more, talk to the experts at Harness Training today and get you career off the ground. Previous Previous post: What did we learn from the Surat Basin Expo?